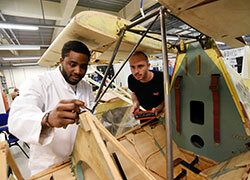 Teesside University has a proud history of learning and teaching stretching back over 85 years. Officially opened as Constantine Technical College to support Middlesbrough’s booming engineering and shipping industries in 1930, the college became a polytechnic in 1969 and then one of 14 new universities approved by the Privy Council in 1992. 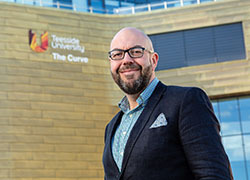 Today Teesside University is consistently climbing all the league tables measuring academic performance and student experience having been the first modern university to be awarded the Times Higher Education University of the Year 2009-10. 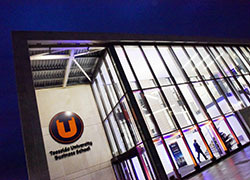 Teesside University is home to more than 18,000 students across undergraduate and postgraduate courses. It is also one of the largest employers in the region with nearly 2,500 staff. Expertise across five core Research Grand Challenge themes, addressing the biggest global issues of our time: Health & wellbeing; Resilient and secure societies; Digital and creative economy; Sustainable environments; Learning for the 21st century. This page was last updated on 30 September 2018.